Many reputable magazines all over the world have already named modern Deep House a “NEW EDM”, because everyone is spinning into The Deep! 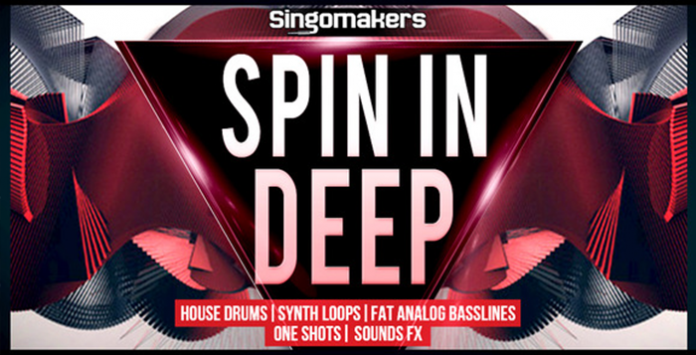 That’s why Singomakers are so proud to present this outstanding collection of samples – Spin In Deep! All samples from this sample pack are mixed and processed with Professional Studio equipment like SSL Channel Strip, Avalon VT747, Manley passive EQ, UAD-2 plugins! These samples perfectly fits to producers of Future Deep House, Tech House, Progressive House, Jacking House and any other genre where extra groove is essential! If you take inspiration in such artists like Don Diablo, Oliver Heldens, Deep Lark and labels like Defected, Crosstown Rebels, Anjunadeep, dirtybird, Loudbit, Zulu and more – this pack is 100% for you!